With the rapid growth of cities over the past centuries, animals have certainly had to adapt to the new environment. The more we encroach on animal habitats, the more they must adapt or perish. Not only that, we’ve brought our own animals (such as dogs and cats) in to the mix as well. 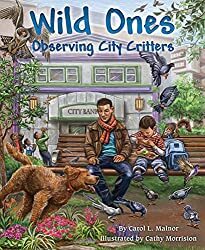 We can get a glimpse of the ways animals have adapted in response to the changing environment in the book Wild Ones: Observing City Critters by Carol Malnor. In this lavishly illustrated book, a family dog named Scooter chases after a squirrel. He then encounters a number of wild animals. Some of the animals capture his attention, but some he does not notice. The conscientious reader will notice the animals hiding in various places on the pages. I love how the illustrations capture such a variety of animals and hiding places in the new habitats that the animals now face. It shows that while humans have for the most part destroyed the original habitats, many animals have learned how to thrive in spite of us. I don’t think any of my family members have been tuned in to animals in our natural environment: we get distracted by hurrying to swim lessons and co-ops, quick trips to the grocery store, and meets ups for science club. Instead, our own town, even a city, is still thriving with almost secret wild ones all about. Are we able to find them all? 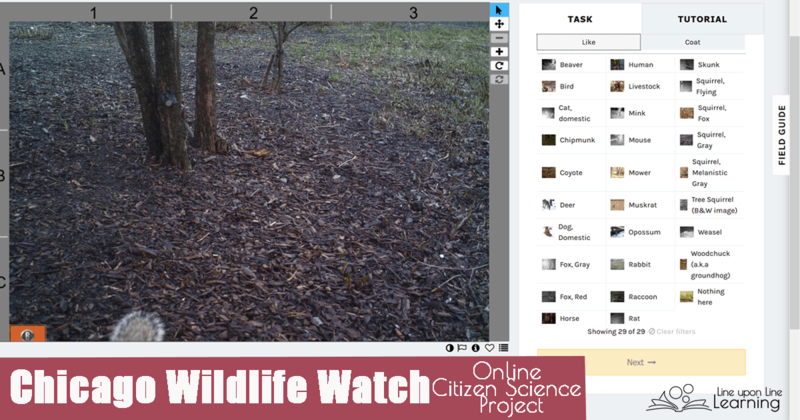 As we were pondering the opossum we saw in our yard, we also discovered the Chicago Wildlife Watch project. In this “citizen science” project, scientists need our help identifying animals spotted in various locations throughout the city of Chicago. “Not in the actual city of Chicago, Chicago?” my daughter said incredulously, as I brought up the site with a few snapshots of animals in green spaces. I guess from her perspective as an infrequent visitor, the City of Chicago does seem an intimidating place of lots of traffic, noisy El trains, and otherwise isolated museum campuses. We don’t usually drive to the City to visit the green parks. (Although we’ve been to Millennium Park as a family, for example, the sheer number of people compared to where we live is, I suspect, quite different from what my kids would expect in terms of a “park visit.”) No, I must admit that I’ve never considered the City of Chicago as overflowing with wildlife. Do you spot the squirrel’s tail? Knowing where Chicago’s urban wildlife is located will help us to better conserve it. This knowledge will pave the way for future studies on the behavior and ecology of specific urban species, helping stakeholders to better manage wildlife conflict. 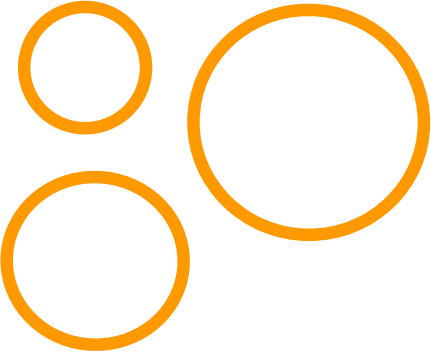 The project requires a computer, a Zooniverse account, and an internet connection. Participants (“citizens”) join in by viewing an image from one of many motion-detection cameras set up around the City of Chicago, from forest preserves to golf courses and cemeteries. When an animal is spotted, the participant selects the animal from a list (which has pictures and descriptions of each animal). This sounds simple, but some animals are quite small. Also, sometimes the cameras catch motion from a branch moving, leaves, or (sadly enough) litter in a scene. So a lot of pictures end up marked as “nothing here.” Participants also must mark “mowers” in the pictures, and flag any images that have caught a person (although these are mostly already eliminated). Finding an animal in a picture is pure joy. My kids were immediately drawn to the project when they saw me starting it out. In fact, it was a constant clamor among my older two as to who could mark the image. We also loved to browse the collections of best images found. My kids laughed at the coyote pup trying to steal the “bait” and the deer selfies. I loved any photo we found that had motion. Identifying animals in the Chicago Wildlife Watch project has certainly changed how they think of both the City of Chicago and wildlife in general. “Oh, Mom! I think I saw the opossum again!” my 7 year old daughter called out to me as she looked out her window this evening. “I only saw a tail slinking by, but it looked long and skin like the opossum’s tail! Suddenly, the animals on the list are real to them. And the animals in our yard are closely related. 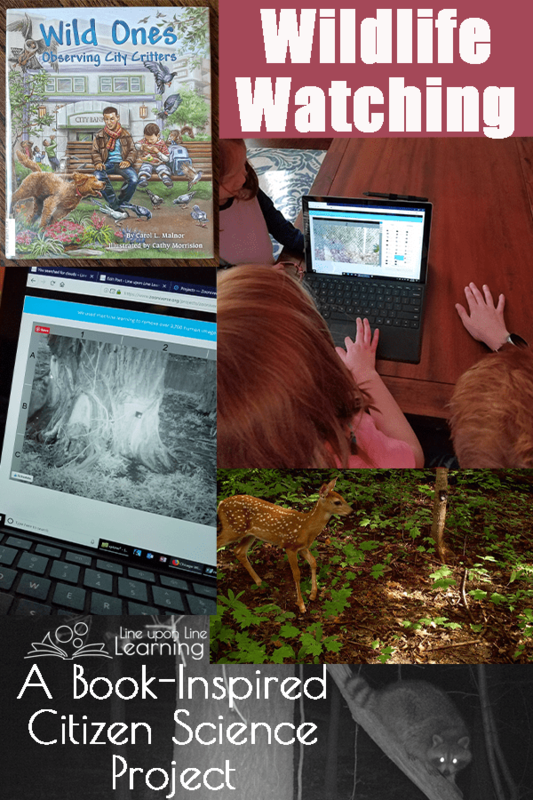 We are only a short drive from the City of Chicago itself, so this citizen science project has definitely helped make animal survival and their changing habitats pertinent to the kids. We have taken over the animals’ habitats, after all. They were here long before humans set up our town. My own reaction is sheer dismay at the amount of litter that appears in some of the photos. Can’t we be better than that?! 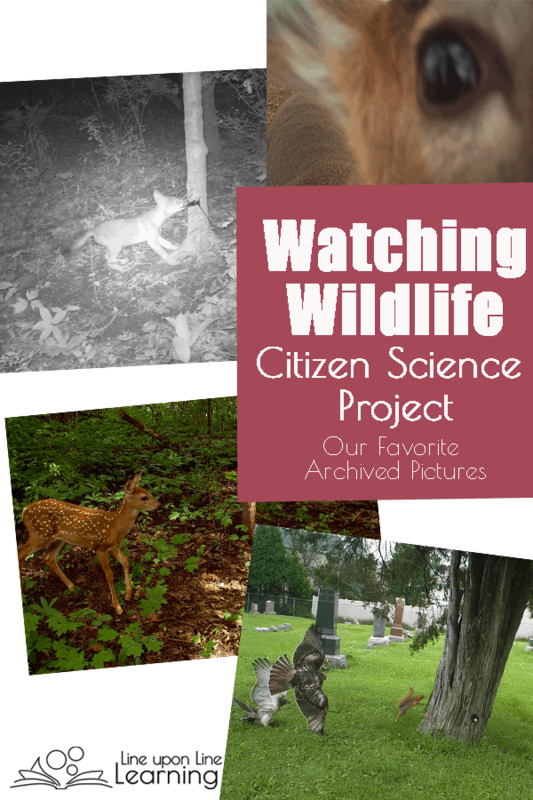 Citizen Science is when regular people in society help in the collection or analysis of data for a scientific purpose, while working with professional scientists. 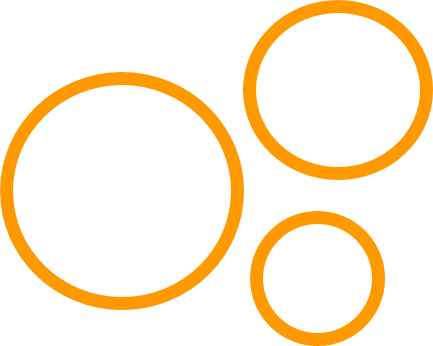 If you are interested in finding a project to participate in, browse the projects currently available. It sounds like the Chicago Wildlife Watch continues from year to year. Other projects are a one-time things, or require a specific time frame or observation. 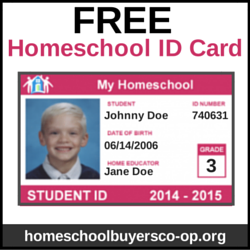 Honestly, I think the database of citizen projects is a goldmine for homeschoolers. 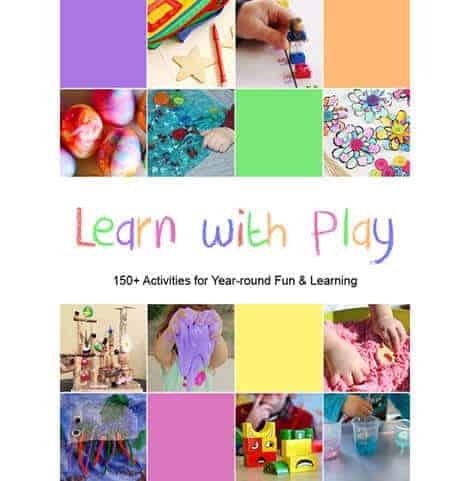 Find something your children are either interested in or that you want them to learn about. Then get started on the project! So much science seems conceptual, and I really don’t like setting up some science labs in my kitchen. But these projects are real. I feel helpful even if I just categorize a few photos at a time. I’m being a scientist! My kids feel the same way. There are also some projects related to social studies or history, although I haven’t looked at those ones yet! You may also be interested in my animals prints activities! 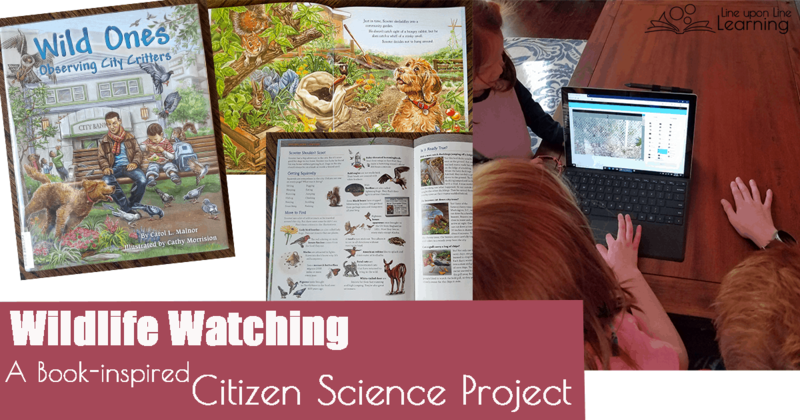 This post about citizen science projects is a part of the Storybook Science series. 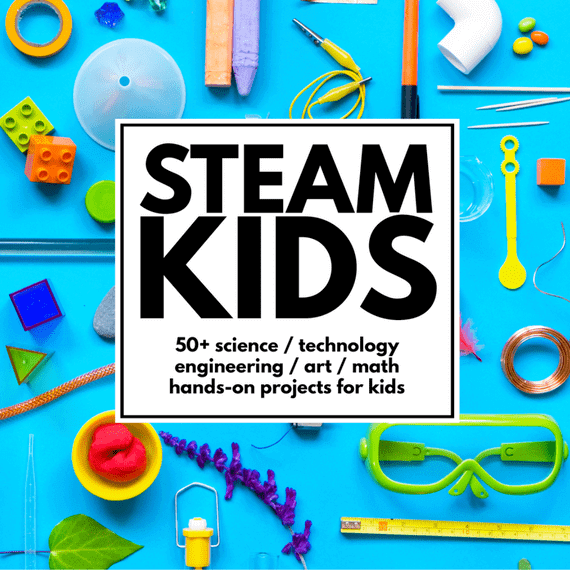 Want to see more Storybook Science ideas? 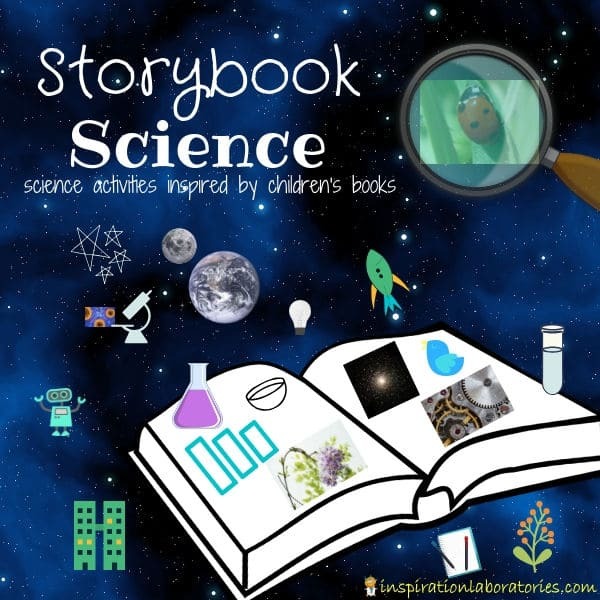 Click over to Inspiration Laboratories for the fourth year of the annual Storybook Science series! We are in Chicago (Chicago Chicago) and we see all sorts of animals in our neighborhood. Recently when I saw a giant raccoon in the headlines of my car while driving out of our garage I almost had a heart attack. I’m used to fat rats, squirrels, and small opossums, but it was the first raccoon. We also frequently see coywolves (mix of coyotes with wolves). Have you heard of them? There was an interesting article on abc news website last year that stated that if you live in Chicago there is a 100% chance you live next to coyotes. Thanks for writing an article about Chicago Wildlife project. I have never heard of it before but it’s exactly the kind of thing we love. I created an account this morning and we will get started as soon as we have a moment today.